Where Do You Want To Use Your Snow Blower The Most? Is There a Type of Snow That I Need to Be Aware Of? What Type of Landscape Do You Have? Which Type of Snow Blower Is Perfect For Me? 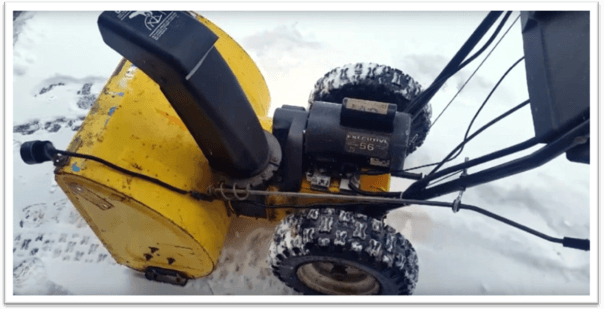 Which Other Features Make a Snow Blower Better Than Regular Units? Wait, Isn’t It Better to Use a Shovel Instead of a Snow Blower? While Winter season is not around the corner, but it will be upon us eventually. Some parts of the world are already feeling those damn chills, but the worst thing is having to deal with aching back, blisters and snow mounds piled up around the driveway. You’re going to need a snow blower to deal with all the crunchy white ice if you are looking to effortlessly maneuver your way into, or out of the house. A lot of people don’t need to buy a snow blower because they luckily reside in such areas where the public community snow blower mobile takes care of the business. But, what about those folks who don’t have that privilege. Alternatively, in many scenarios, the public services vehicle doesn’t go all the way in; they sort of just clear the main road and don’t bother if the snow is shoveled on to people’s driveways. It’s just how things are these days. Generally speaking, snow blowers are not that complicated. They come in minimum number of categories, there’s not a lot of maintenance – i.e. if you want to opt for the inexpensive electric models, and pretty much work as advertised. The only “real” problem is buying a wrong snow blower that may not be suitable to your needs. It implies ending up with an overpowered 3 stroke expensive gas snow blower, or with a sleazy electric snow blower that doesn’t even go beyond a few feet on the driveway. You should know that while snow blowers are available in abundance in the market, they don’t have a very good resale value. If you are planning to suddenly sell your snow blower, which you just bought a few months ago and realized that it wasn’t the right make and model, you may have to wait a bit. Since this is the kind of “power tool”, which is only used during specific months of the year, their demand drops down accordingly. There are other secondary factors too; I don’t want to raise any flags but this post is important in helping you out with buying the right kind of snow blower in 2019 and beyond. A severely underpowered electric snow blower, or an overpowered gas snow blower can actually be pretty much frustrating. This is exactly why you need someone to assist you with some basics of how snow blowers work, your weekly snow accumulation volume and vice versa. There’s always one main area of the house where snow blowers are direly needed during the snowy season. It could be your driveway, it could be the front porch, it could be your backyard – the point is that the overall size of the area matters a lot. You can't possibly sneak in a gas snow blower, no matter how good it is, into a small area. Likewise, a small snow blower cannot work efficiently in a large area because you will end up spending twice as much time on single passes. So, let’s put it this way; for single passage or smaller driveway, stick with single stage snow blowers. On the other hand, if your driveway, or whatever area’s length is over 60 Ft., go for a two stage unit. You will need a three stage/ 3 – stroke snow blower if your area spans over 150+ Ft.
Yeah, unfortunately, while snow will always have that white glistening color, there will always be different types. The early setting snow is always light; it is easier for single stage electric snow blowers to handle that. However, when you have been negligent in doing your chores, or only got time to clear the area after several days, that same snow turns into semi solid/ ice form. Things really become a challenge when the snow is wet, or happens to clog the ejection chute. The best way to deal with this kind of snow is through a 2 Stage or a 3 Stage snow blower. An Electric snow blower is simply not going to cut it because it probably won't have an impeller to work as second part of the stage. Whereas, 2 stage snow blowers can handle hard snow deposits due a robust impeller to help prevent clogging and all. Specifically speaking, I’d emphasize on getting to know your terrain. Is your driveway area simply flat, or does it go uphill or downhill. Smaller lengths don’t matter much, but when we are talking about more than 50 feet, the terrain type actually affects the snow blower’s output. For instance, if you have a sloping terrain, then obviously the depth of snow will be more as the slope goes down. This makes it hard for a regular snow blower to dig in deep. 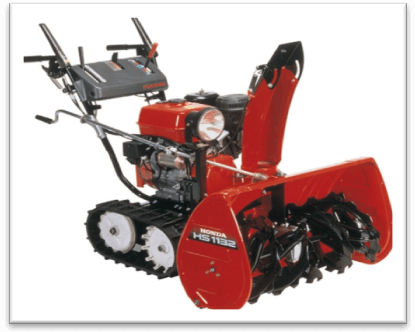 Push propelled snow blower models are best for leveled terrains, whereas gas powered engine drive snow blowers are ideal for slopes. The latter’s engine is too powerful to be held back by the depth or thickness of the snow layer at the bottom. Moving forward with some minor details, I’d like to mention that the auger assists a snow blower to make contact with the snow, and eventually help the unit to move forward. That being said, an auger is not to be confused with a propeller, but once it makes contact with the surface of the snow, it directs the snow through a discharge chute. 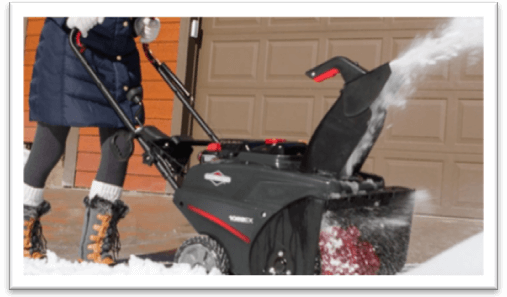 *The speed of the auger makes it easy for the homeowners to actually move the entire snow blower unit forward with fluidity. Since I mentioned it earlier that there are various types of snow blowers, it’s better if we take a look into a more detailed version of those types. To be honest, as a first time user myself, I was a little confused about the “multi stage” feature of the snow blowers. I thought that if we are speaking single stage snow blower, then it must be under the electric category because of the word “single” and all pointing to an inferior output level. Likewise, two stage and three stage snow blowers are not always classified under gas powered units. 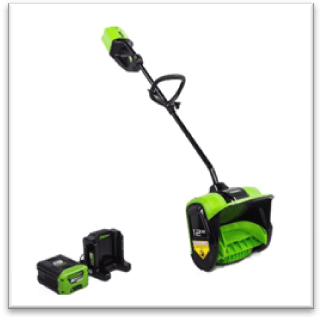 I have seen electric models with two stage variants out there; it’s just comes down to your actual requirements and the aforementioned factors that affect a snow blower’s performance in the long run. 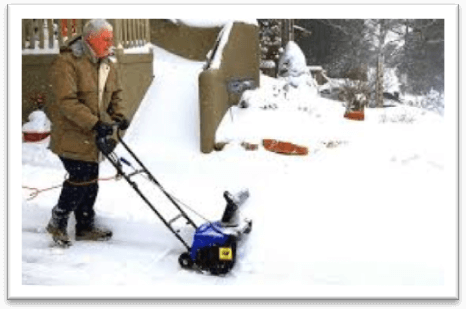 If you happen to be a regular residential sector homeowner, you will make great progress with a single stage electric snow blower. The area is small, the surface is mostly flat and leveled, so there’s no need to invest in something expensive. That being said, it is not necessary for the wheels of the snow blower to be self driven; some of the assisted movement part depends on the auger. Speaking of auger making contact with the surface, I forgot to mention that snow blowers are susceptible to a high degree of damage. They are intended for use on hard surfaces, but sometimes people make stupid mistakes and go on a ride spree with snow blowers. You should know that if the terrain is not paved, rocks, debris and pebbles can go up through the unit’s auger. This can physically damage the internal mechanism, apart from choking the auger from making further movement. You should be careful about where you are going to use your snow blower, whether it is electric or gas powered. How About Cordless Electric Snow Blowers Then? A corded electric snow blower is a mini version of the single stage regular electric snow blower. Obviously, the corded version implies that the unit has to be powered via a wall socket somewhere in the area. The upside is that these units are compact, lightweight and easy to manage. The downside of owning a corded electric snow blower is the limited performance. Besides, your mobility is also limited due to the cord’s presence. You can, however, buy an extension for some extra coverage area, but that’s about it. These beastly fellows are the brain and brawn of high performance snow blowers. While I was out there doing comparison shopping for the best snow blower in 2019, I was baffled by the performance metrics of a single stage gas powered snow blower on average. As long as they are gas/ engine powered, a regular model can cover more area and tends to have more power. I noticed that the very basic units were able to gobble up snow over different intake heights, widths and lengths of the driveway passages. On the other hand, electric models under the same category were not able to beat the competition. They are the next major type followed by a single stage snow blower. As I mentioned in the beginning of this post, a two stage mechanism implies that that there is not only great capability for the engine to cover more area, but sometimes this type of units can go deep over uneven terrains. The theory is a little sketchy because the practical snow blower performance is quite different under different circumstances. However, if you are using a two stage gas powered snow blower with engine driven or assisted wheel movement mechanism, the unit can better handle uneven terrain types. The auger will lift up the snow, it will get broken down into bits and pieces by the impeller and then it is discharged via the ejection chute. This two stage process is relatively faster than a single stage snow blower’s. I tried both kind of units and I was satisfied by how fast I was able to cover more ground – and that too with thoroughness as compared to the single stage counterpart. They are the top of the line models made for clearing large areas of snow, no matter how much depth or thickness there is to it. Typically, three stage snow blowers are engine powered because electric units cannot output the same level of results. Just to give you an idea, there is an accelerator to speed up the auger’s movement by 10x times. The discharge chute rapidly throws out snow over great distances and you rarely have to make a second pass over the same line of movement throughout your snow blowing antics. But then again, pricing on three stage snow blowers can be a harrowing experience. I am talking about $1,000+ tags on simple basic level three stage units. Likewise, two stage units are also expensive, but they are not that expensive if you are thinking of converting to the electric category. In latter case, the unit’s price is cut by half. You can buy a snow blower for as low as $99! – as long as it is electric and works as advertised for light level duty. There’s no hard and fast formula regarding the number of features in a snow blower. Different manufacturers have their own way of introducing features. Then again, when some companies only introduce a ‘signature category feature’ that’s patented as well, then you are limited to certain buying preference. Regardless, keep an eye out for the following features to help make your snow blowing endeavors a chilly breeze during long Winter season. Electric Starter Kit: This is basically just a button, or a plug. The starter makes it easy to turn on the snow blower and eventually breathe life into the engine. If there is no electric starter in a gas powered snow blower, then make sure that the regular recoil starter is of good quality. You don’t want the cord to break. Engine Power: Engine power (gas models) is measured in CCs. Higher number translates to the snow blower’s ability to handle all the work with ease and comfort. Single Handed Features: Think of all the essential perks available to you on the push handle/ steering. You could control speed, switch to different performance modes of the snow blower and vice versa. On top of that, if there is a power steering, then maneuverability will come as a much needed bliss. Tire Size: Since snow blowers are normally heavy, they come with tires. The size of the tires affects mobility. While large tires offer robust performance, it is not easy to cut corners and take quick turns. But then again, we are talking about moving snow blowers around, instead of motorcycles, so tire size should not be too much of a concern. Discharge Chute: The chute does not really affect the performance of your snow blower, but it’d be amazing if you can adjust the direction of the chute. Sometimes, you don’t want to piss off the neighbors by unwillingly discharging snow in their driveway! On the same note, a set of drift cutters can chop of hard snow deposits before they hit the auger. This prevents mechanical failures and physical damage to the internal parts of the snow blower unit. To be honest, it is! 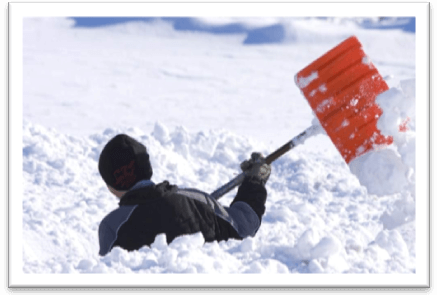 By manually laboring through the snow with a shovel, you are warming up your body and building up the defense mechanism against common cold & flu. But if you are a lazy slob like 90% of the population, you don’t have time to shovel around the ice cold knee deep snow. Sometimes there is a risk of frost bite, but I haven’t seen many people going into an emergency room for being efficient with a shovel. At the end of the day, things eventually come down to the size of your wallet vs. your requirements. The staff writers at Power Tool Buzz usually conclude their posts in an effort to knock some sense into potential buyers. 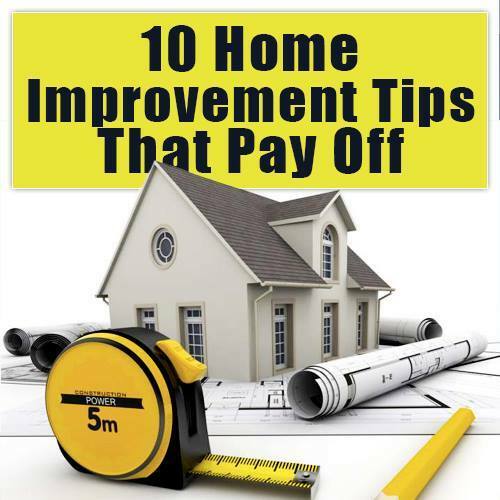 You don’t have to buy an expensive unit when you can get the job done with an inexpensive model. If this is your first time buying a snow blower, you should definitely hold back on making an impulsive decision. 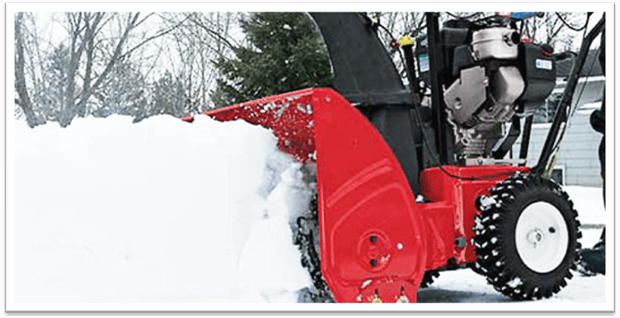 Feel free to write to us, do your own research on different snow blower models, and share thoughts with fellow online users at dedicated snow blower forums or below in the comments of this snow blower buying guide. Eventually, these simple steps will help you land a bargain on the best snow blower in 2019. Good luck!